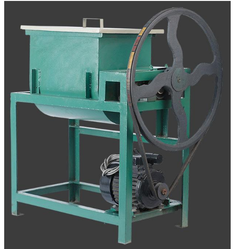 We are engaged in offering a wide range of Incense Powder Mixing Machine to our valuable clients. We use optimum quality material and latest technology in the manufacturing process. Our offered product is checked against various parameters under the vigilance of our quality controllers to deliver a flawless range at the client's end. Apart from this, offered machines are available in standard as well as customized specifications as per requirement of our clients. Power: 0.5 to 1 HP 1 Phase. You can mix 10 Kg within 5 minutes. 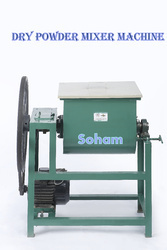 Material mixing machine for incense material. 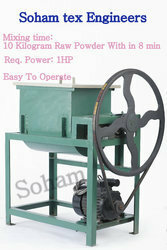 · Filter Time: 50 Kilogram Raw Powder With in 10 Min..